The Kentucky Wildcats (5-1) hosted Monmouth (0-7) Wednesday night. The Cats lit it up from deep and buried the winless Monmouth team 90-44 giving Kentucky their sixth straight win. The Cats led a balanced scoring attack in the first half, where nine players scored. The Cats were hot from deep, hitting 6-15 threes and 14-28 from the field. Monmouth defended the Cats with a zone and the hot shooting allowed Kentucky to take advantage of the open looks. Kentucky had 28 of their 44 points at half from three and the free throw line. The Cats continued to dominate in the second half and never let the game be in question. The Cats had four players in double figures led by Herro, who finished with 16 points on 6-10 shooting, eight boards and five steals. Keldon Johnson added 15, Quade Green added 14 and Reid Travis chipped in 13. Kentucky shot 56% from the field including 41% from deep on 10 makes. Monmouth was just 2-16 from deep and was held to 28% from the field. The Cats were also 20-23 from the free throw line. 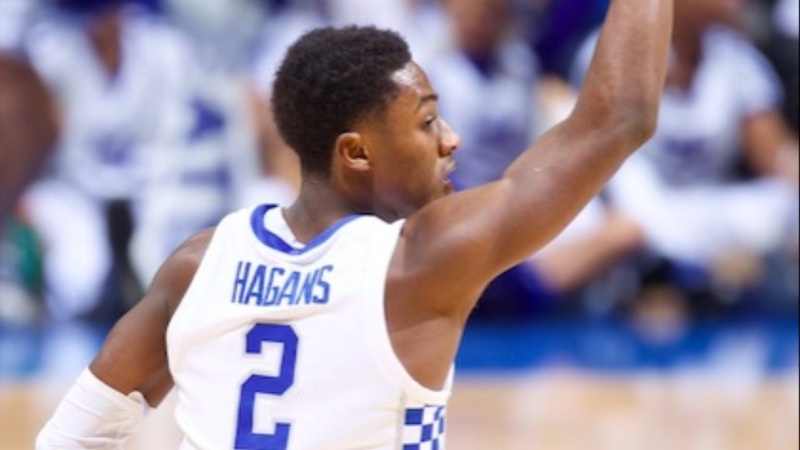 Throughout the last six games, Kentucky has steadily improved in various areas. The chemistry and balance of the team has improved, the shooters have started hitting their stride, and the free throw shooting has been excellent. Kentucky still has trouble guarding the perimeter despite holding Monmouth to 28 percent. Herro had possibly his best game tonight and Johnson continues to grow into a go-to guy for this team. PJ Washington, Quade Green, and Nick Richards continue to integrate themselves in with the new guys, and Reid Travis has been steady throughout the early season. The Cats return Saturday, Dec. 1st against UNC-Greensboro in Rupp Arena. Tip is set for 1 p.m. and will be televised on the SEC Network.